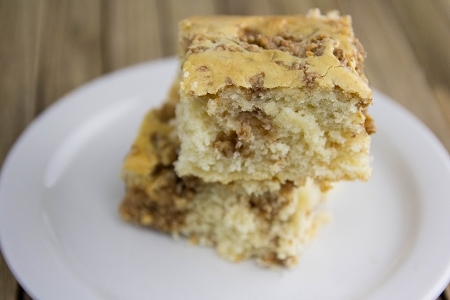 Our Apple Cinnamon Streusel Cake mixes make delicious and healthy cakes with comforting apple streusel swirled into every bite. 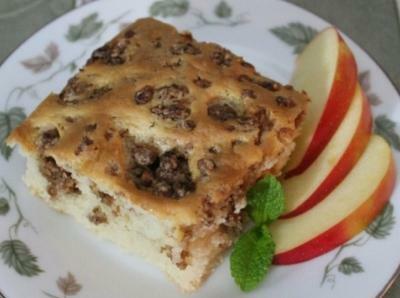 Perfect for breakfast, snack time or dessert! Everything you need in one kit—just add oil to the streusel, water to the cake mixes, combine as instructed and bake. Wheat Flour, Maltodextrin, Polydextrose, Erythritol, Dried Apples (Apples, Calcium Stearate, Citric Acid, Sodium Sulfite), Oat Bran, Whole Dried Eggs, Whole Grain Wheat Flour, Nonfat Dry Milk, Shortening (Soybean Oil, Canola Oil, Mono & Dglycerides), Sugar Cane Fiber, Monocalcium Phosphate, Calcium Acid Pyrophosphate, Modified Starch, Dietary Fiber, Emulsifier, Baking Soda, Cinnamon, Vanilla Flavor, Brown Sugar Flavor, Salt, Sucralose, Apple Flavor, Caramel Color, Nutmeg, Carrageenan Gum, Xanthan Gum, Cellulose Gum.